The SF 110 is targeted for ambitious and aggressive freeride and big mountain skiers seeking a traditional 4 buckle overlap architecture boot. SF 110 also features a 98mm Contour 4 fitting last. Softer flexing transparent polyether shells and full length, shock absorbing footboards provide smooth, progressive power transfer with chatter-free control on all terrain. Structurally similar to the the SF 130, the SF 110 also features a 98mm Contour 4 fitting last. 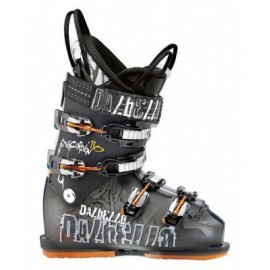 Classic 2 Piece Overlap design ski boots are the industry’s most common design construction. 2 Piece overlap skiboots (sometimes referred to as “shellfit” boots) incorporate two structural elements - (1) a lower shell with overlapping and underlapping flanges that “wrap” to adapt to different volume feet and feet shapes securing the lower foot inside the ski boot, and (2) an upper cuff with over and underlapping flanges which, when closed, secure the lower leg and ankle inside the ski boot. Structurally, 2 piece overlap ski boots are simple constructions that are highly variable in volume. They are simple to open and close and are designed to hold the skier’s foot and leg in a strong and balanced stance position, permitting energy and leverage to be transferred from the skier’s feet and legs to the skis for performance and and control. The “overlapping” function of the 2 piece design allows the over and underlapping flanges of the shell and cuff to slide across one another when the buckles are tightened, therby adapting the volume of the shell and cuff to the individual skier’s foot and lower leg. Dynamic function in these designs is regulated by changing structural design elements (cuff and shell angle, cuff height, height of lower shell sidewalls, plastic stiffness, innerboot designs and constructions. Very close fitting “connected-to-ski” feel. Top choice of technical and traditional performance skiers. Contour 4 Technology is a revolutionary advance in performance ski boot fitting and engineering. The anatomical contours of the inside boot-shell and the innerboot lasts are perfectly mated to precisely map the shape of the typical high performance skier’s foot. A little extra “space” is molded into the inside of the boot shell at 4 critical fit points: ankle, heel, 5th met atarsal, & navicular. 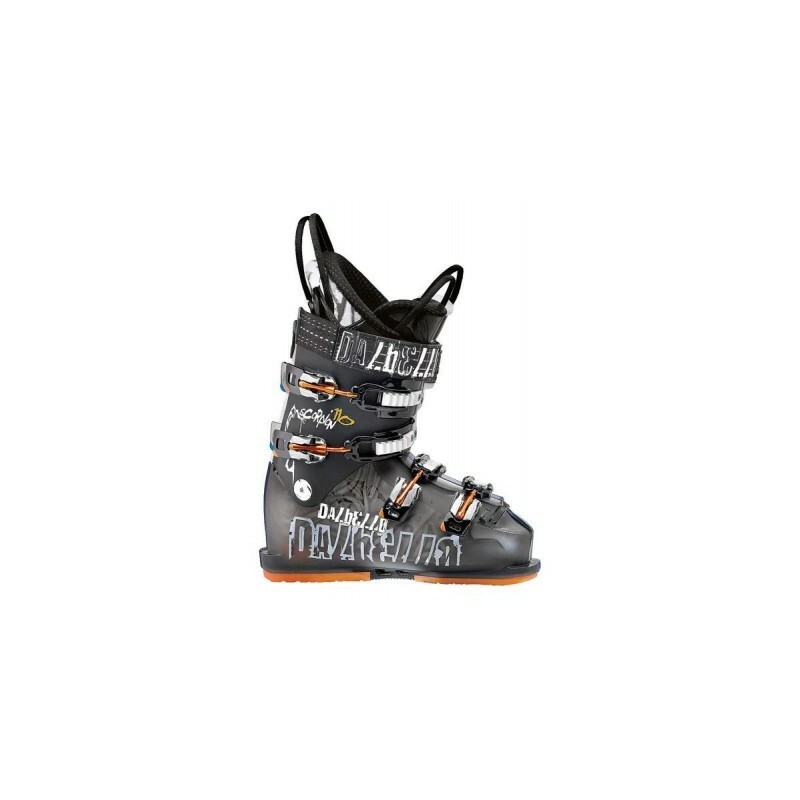 Developed under the guidance of Austrian skiing legend and two-time Olympic Giant Slalom Medalist Christian Mayer, the new SCORPION series delivers pure, unadulterated, precision ski boot performance. Scorpion’s are all about enhancing the dynamic interaction between skier and ski; providing maximum power transmission with a level of comfort and efficiency unavailable in common production ski boots. Developed to optimize performance and control with modern skiing technique. Completely new overlap architecture with 43mm stand height. Lower, balanced stance ramp angle footboards with more upright shell/cuff angles. Reduced heel/achilles/instep volume firmly and precisely locks rearfoot into place.